It seems like the development community is quite excited about microservices these days, but at OSCON Europe, Daniel Bryant, who is chief scientist at OpenCredo, continued to point out some of the mistakes that architects and administrators routinely make while adopting to this new “Loosely coupled service oriented architecture with bounded contexts,” as Adrian Cockcroft described microservices. LUST: Using the (unevaluated) latest and greatest tech. GREED: What’s mine is mine (within the organization). SLOTH: Getting lazy with NFRs. WRATH: Blowing up when bad things happen. ENVY: The shared single domain (and data store) fallacy. 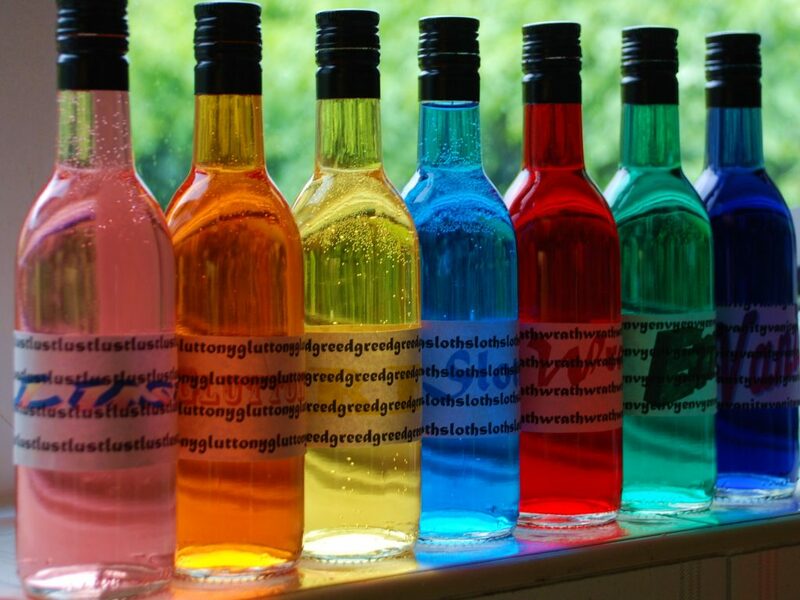 PRIDE: Testing in the world of transience. Bryant claims we’re often like Magpies who just want the shiniest, latest and greatest technology, but we continue to trip ourselves up when we copy what other people are doing without taking the time to evaluate the right solution for our needs. Clients come to him saying, “give me some Docker” or “give me some DevOps” or “give me some microservices,” but they are just going after the shiny new tools without thinking about which problem they are really trying to solve by using them. He suggests that rather than arguing about tools, we should be having more discussions about needs and values. Bryant cautions us not to rule out options because of past biases. Rather than ruling out RPC (Remote Procedure Calls), which a lot of people do, why not consider something like Google’s gRPC, which offer speed and other benefits? Another example is the ESBs (Enterprise Services Bus), which many people have found that, once you open one up, “it’s often a tire fire in disguise.” But the idea of inter-application communication is well-supported API gateways, like Kong, Apigee, Amazon Web Services’ API Gateway, and MuleSoft. The one is all about getting lazy with NFRs (Non-Functional Requirements). The technical requirements should be identified early on, to ensure they are handled properly in the design. Bryant talked about the pushback he gets from Agile coaches who want to “delay decisions to the ‘last responsible moment,’” but sometimes the last responsible moment is up-front when you are using microservices. Bryant also mentioned that being aware of security in containers is useful, since a lot of microservices are deployed in containers, and he’s a “big fan of getting everything in the build pipeline” where security testing can be performed along with performance and load testing. Testing is a lot more challenging in a microservice environment as your various microservices interact with each other. “Microservices should be disposable,” Bryant says. With disposable, transient microservices, testing can be quite difficult, but possible with service virtualization and API simulation, like Hoverfly. 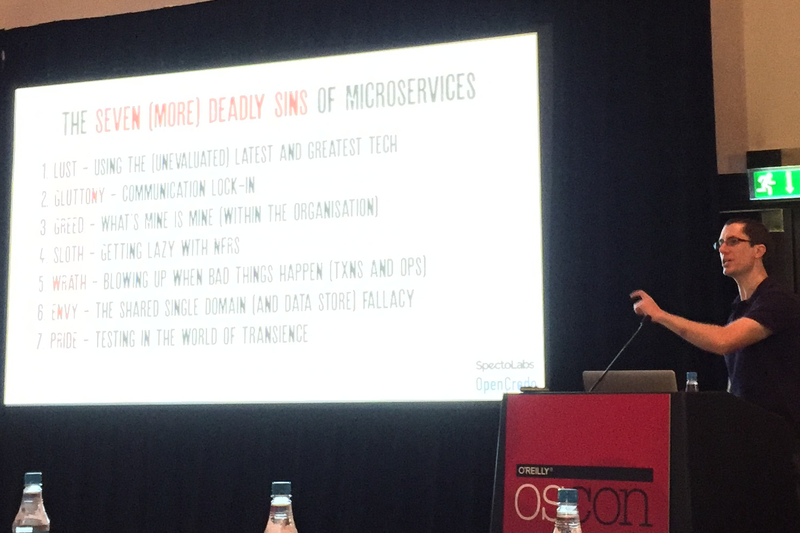 It’s worth taking some time to think about these seven deadly sins of microservices before you start working on that next big application! Feature image by Janet Ramsden, CC BY 2.0 license.